This chapter examines a widely accepted assumption that phonemic awareness is a precursor to early literacy development through a review of existing research studies in the field of phonemic awareness, early literacy acquisition and development and bilingual literacy acquisition and development. Based on a foundation that success in early literacy acquisition has a significant impact on students' later academic success, the author argues that unconditionally and uncritically accepting the view that phonemic awareness and literacy development are positively correlated can exclude many English learners (ELs) from learning opportunities and thus from later academic success. 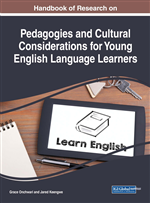 The author concludes that if educators are committed in providing equitable education for all students, we should not assume that all ELs have the same needs in early literacy acquisition instruction, and to do otherwise is to marginalize ELs especially the ones whose first language system bears no resemblance to that of English. English learners (ELs) is the fastest growing population among the school-age group in the nation (Kanno & Cromley, 2013). Over the past 15 years, the number of ELs has almost doubled to about 5.5 million, and by 2025, nearly one in every four public school students will be an EL (National Clearinghouse for English Language Acquisition, NCELA, 2007; Winke, 2011). Migration affects almost all aspects of contemporary society (Papastergiadis, 2000), whereby people are constantly crisscrossing cultural and linguistic boundaries both within the country and globally (Ang, 2003). Meanwhile, the widening gap between the demographics of teachers and students from diverse backgrounds, including various linguistic backgrounds is well documented by research studies (Gay, 2010; Milner, 2003; Sheng, Sheng, & Anderson, 2011). Consequently, teachers and schools are faced with challenges in meeting the needs of ELs (Bergh, Denessen, Hornsta, Voeten, & Holland, 2010; Zumwalt & Craig, 2005). In many states, EL dropout rates are significantly higher than those reported for non-EL students (National Center for Education Statistics [NCES], 2011), and in this regard, 41 U.S. states reported that only 18.7% of ELs exceeded the state norm on reading assessment tests (Kindler, 2002). While the causes for the high EL dropout rates can be attributed to various factors, it can also be seen as an indicator of a mismatch between the academic needs of ELs and the instruction actually provided for them (August & Hakuta, 1997; Rothenberg & Fisher, 2007). As more ELs spend most of their time in regular classroom, and there are approximately five million English language learners enrolled in the nation’s pre K-12 grade schools (NCELA, 2007), education of ELs is not just responsibility of English as a second language (ESL) teachers but all educators’ responsibility given that ELs must be provided adequate and appropriate educational support in all classrooms. Given such a ground, the broader goal of this chapter is to contribute productively to research and practice in the education for ELs by focusing on the issues that ELs are facing when beginning formal reading instruction in school by re-visiting the role of phonemic awareness in early literacy development among ELs. The predilection carried by this essay is that success in early literacy acquisition is the foundation for learning and has a significant impact on students’ later academic achievement (NRP, 2000). Hence, a closer investigation into the factors that promote early literacy acquisition and development among all children including those for whom English is not their home language became imperative. This chapter explores the currently widely-accepted understanding that phonemic awareness training is directly related to the improvement in students’ phonemic awareness, which is a strong predictor of success in learning to read, and to the argument that children who experience reading difficulty typically lack phonemic awareness (NRP, 2000). Through such an exploration, the chapter demonstrates that unconditionally advocating for phonemic awareness training for all students from the assumption that phonemic awareness is a strong predictor for early literacy development unintentionally provides instruction that do not accommodate ELs whose home language may not share the same structure as that of English; hence, to provide more equitable instructions for early literacy development for ELs, educators must scrutinize the role of phonemic awareness. Early Literacy Development: Knowledge about reading and writing in learning to read and write in early years. Phonemic Awareness: Ability to recognize that words are made up of a discrete set of sounds and the ability to manipulate and distinguish phonemes in spoken words. Bilingualism: Ability to speak two languages. Decoding Skill: Ability to recognize and analyze a printed word to connect it to the spoken word it represents. Phonemes: The smallest units of sound that make up the speech stream. Graphemes: A smallest unit of writing system.